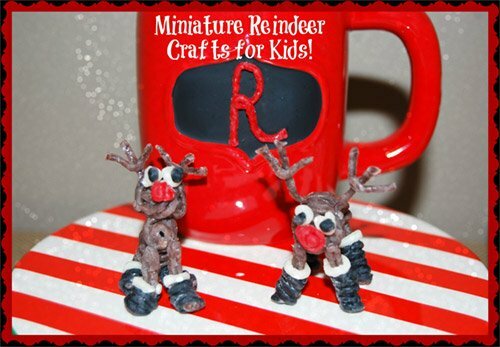 Miniature Reindeer Crafts that Kids Can Make! On Donder, On Blitzen! 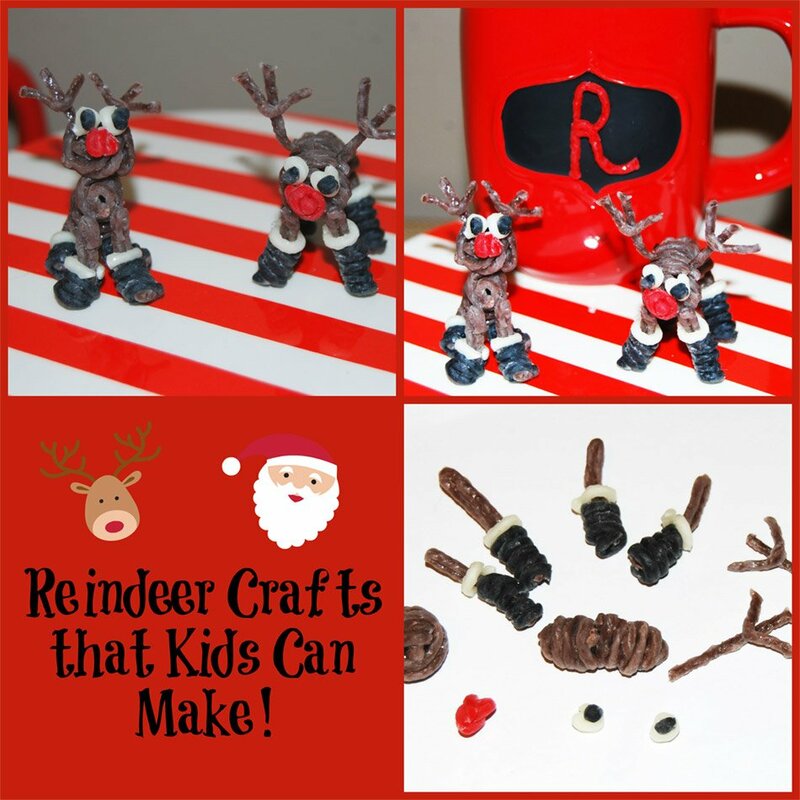 – ‘Tis the season for crafting and these adorable miniature Wikki Stix Reindeer are FUN crafts for kids to make! Create several crafts for all the reindeer who pull Santa’s sleigh. The tiny reindeer will delight kids of all ages while creating special memories this holiday season! Step 1: Tightly spiral two brown Wikki Stix (one at a time) and press the spirals together to create the reindeer’s body. Kids can wrap the Wikki Stix around their pinky finger to make the spirals if desired. Step 2: Cut 2 additional brown Wikki Stix in half. Fold each brown half over to create four legs for the reindeer. 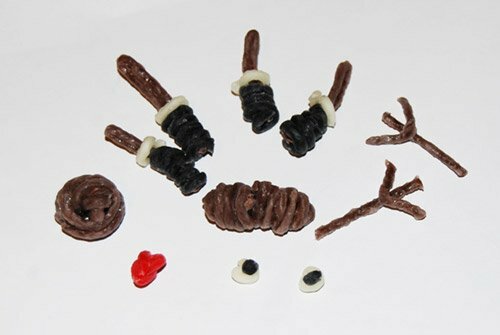 Wrap the bottom third of each reindeer leg in black Wikki Stix (to make the hoof) and add a white Wikki Stix “sock” at the top. Step 3: Create a ball shape from two brown Wikki Stix for the reindeer’s head. Step 4: Cut two small white pieces of Wikki Stix for the eyes. The pupils are made from small black pieces of Wikki Stix. Step 5: Roll a small piece of red Wikki Stix for the reindeer’s nose. Step 6: The antlers are created with four cut pieces of brown Wikki Stix. 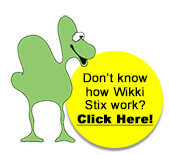 Make a V-shape with two of the brown pieces and then press onto the two remaining brown Wikki Stix pieces. To assemble the reindeer craft: Press the head firmly to the spiraled body. The four legs can then be pressed to the front and back of the reindeer’s body and positioned as desired. Add the eyes, nose, and antlers to finish the craft. Attach the Reindeer crafts to craft sticks or straws to create 5 Reindeer stick puppets (the Wikki Stix reindeer will stick to the straws/crafts sticks and no glue will be necessary). Chant the following rhyme with kids and have them hold up one reindeer stick puppet as the lines are read. 5 little reindeer went looking for some food. The Wikki Stix miniature reindeer crafts make adorable decorations, pretend play animals, or small gifts to friends for holiday giving!